I travelled west from Inverness today, following Loch Ness and the Caledonian Canal. I find Loch Ness unrelentingly dour so it was a pleasure to reach Fort Augustus at the far end of the loch where there is a lovely rise of lock gates on the canal. Worth a detour, if not a vista. 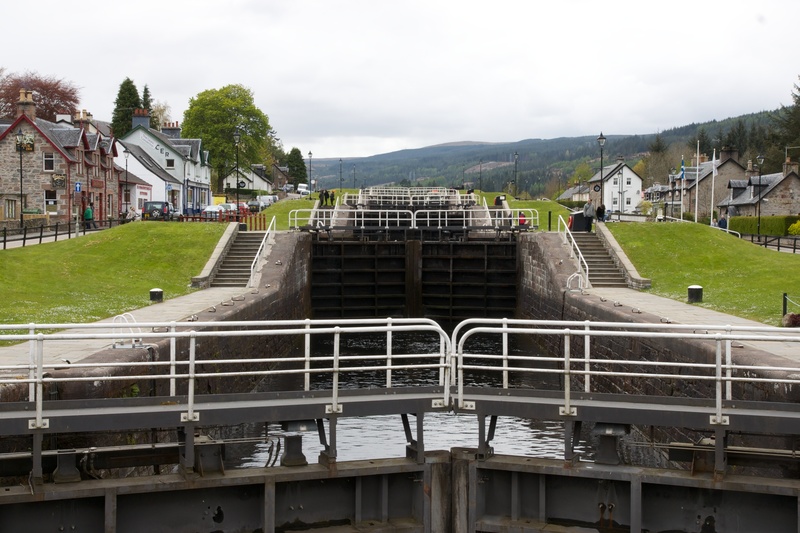 Posted in Photography, Scotland and tagged Caledonian Canal, Fort Augustus, lock gates, photography. Bookmark the permalink.